Who doesn’t have honey in their household? Well, if you don’t, go get some right now. I mean it, right now. You have no idea what you’re missing. 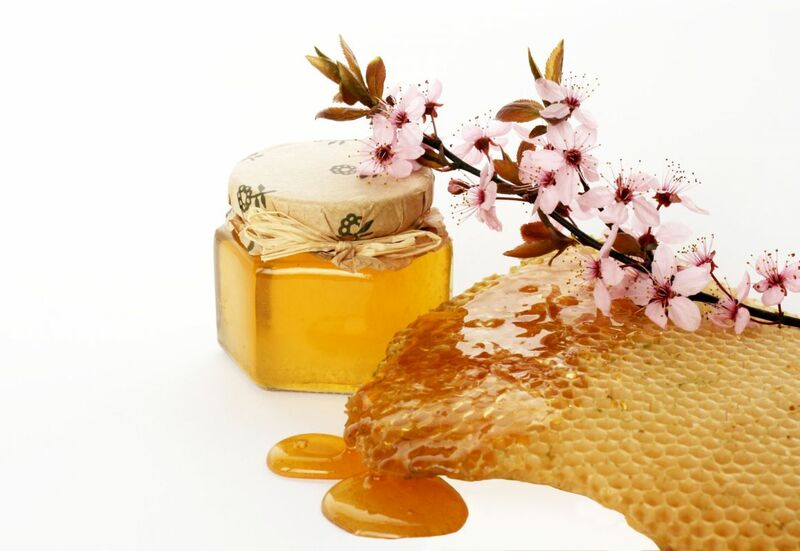 Honey is known to be an ancient beauty and medical remedy for your skin and for many good reasons. Honey is a miracle worker for all skin types due to the fact that it is an antioxidant, an anti-bacterial, an anti-inflammatory, and anti-everything bad. It helps with acne, with redness, and leaves your skin feeling soft and smooth. On top of all these benefits, it is yummy and also inexpensive and widely available, even in your local grocery store. Honey has an ability to absorb and retain moisture which keeps your skin hydrated and prevents drying because it contains amino acids. Honey is antibacterial due to the fact that it is a mild anti-septic. When mixed with water, an enzyme in honey produces a small amount of hydrogen peroxide, which is the stuff you put on cuts to prevent infections. (Don’t worry, honey does not burn like that nasty stuff your mother put on your scraped knee or elbow when you were little). Honey has a anti-microbial and is a natural anti-oxidant which helps protect skin from the sun’s harmful rays and supports the skin’s ability to rejuvenate itself. Honey promotes new tissue growth. 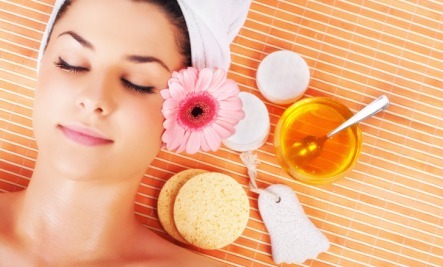 Honey contains bee pollen, propolis, and other things that help to stimulate the growth of new skin. This is a very good anti-aging tool and is not a surprise that honey is found in many anti-aging products. Honey also helps improve blood circulation. Better blood circulation = Better skin. So what’s in the homemade simple honey mask? You’ll never guess. HONEY. Yup, it’s honestly that simple. Take some honey and spread it on your fingertips. Spread the honey evenly all over your face before you sleep or in the mornings before you head out. Leave on for 15 minutes (read, go get your breakfast ready, occupy yourself) and wash off with either water or milk. Milk helps soften and brighten the skin, so I highly recommend that. I always say, air dry your face. It’s so much better for your skin than rubbing with a towel or even touching a dirty towel to your face (unless your a clean freak and wash the same towel or replace it every time you use it). Stop the torture.